Set up a sweets table of Christmas cookies. Enlist some family and friends to bake Christmas cookies to serve at the reception. This can be done in lieu of a wedding cake (to save some money) or in addition to. Guests will enjoy the variety of treats to choose from. Use ornaments as centerpieces AND favors. Double up and use ornaments to decorate your tables and then let guests take them home as their favors. Bonus – less for you to clean up and take home at the end of the night. This can be done with any color scheme. There are so many creative ways to incorporate ornaments into a centerpiece. Set up a holiday craft table. If you are having a lot of kids at your wedding, they’ll be able to create their own holiday artwork. This could include coloring pictures, making ornaments, cards or other holiday decorations. Have a hot chocolate bar. Nothing is better than a warm cup of cocoa in the winter! Add cinnamon sticks, flavored syrups, liquors, marshmallows and whipped cream! YUM! Use twinkle lights and candle light to your advantage. Hanging white Christmas lights is perfect for any winter wedding. 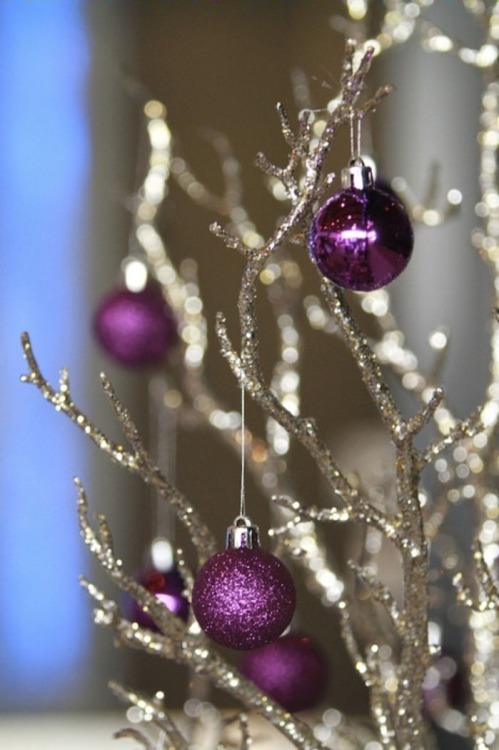 It creates really romantic lighting and can transform any venue into a winter wonderland! Krista Spinti is the owner of Weddings With A Twist, LLC. She’s certified by The International Institute of Weddings and offers assistance with preparing a timeline, establishing a budget, selecting vendors and more!